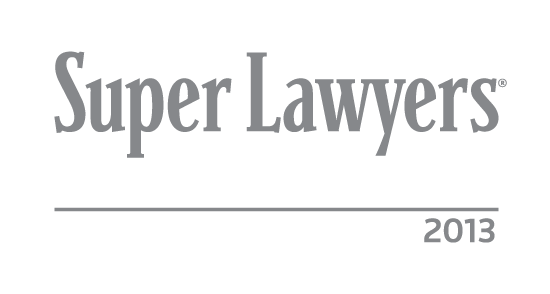 May 17, 2013, Pittsburgh, PA – Edgar Snyder & Associates is pleased to announce the firm's attorneys who have been selected to the 2013 Pennsylvania Super Lawyers list, an honor awarded to the top five percent of state-wide lawyers. Attorneys Cynthia Danel, Gerald Hutton, Jason Lichtenstein, Dennis Liotta, Ken Nolan, Richard Rosenthal, and Michael Rosenzweig all received the honor. Inclusion on the Super Lawyers list is based on votes from attorneys throughout the state who nominate their peers. An attorney-led research staff reviews the nominees' credentials, licensure, and standing with the Bar, assigning points based upon defined consultation criteria. The nominees are divided into their areas of practice, and a Blue Ribbon panel of attorneys evaluates nominees in their own practice area. Edgar Snyder & Associates is a plaintiff's personal injury law firm representing people hurt in all types of accidents. The firm also represents injured workers and people who are disabled and in need of Social Security disability benefits. Office locations include Pittsburgh, Altoona, Ebensburg, Erie and Johnstown, Pennsylvania.